Have you noticed that Google Analytics recently added a new report to their ever-evolving toolset? It’s called the User Explorer report. Let’s take a look. Don't forget to sign up to next week's tidbit with the yellow button at the bottom of this page! Go to Audience > User Explorer. At first glance, this report is a bit funky. There are just long strings of numbers with session and conversion data. Those long number strings are client IDs, which are your users! 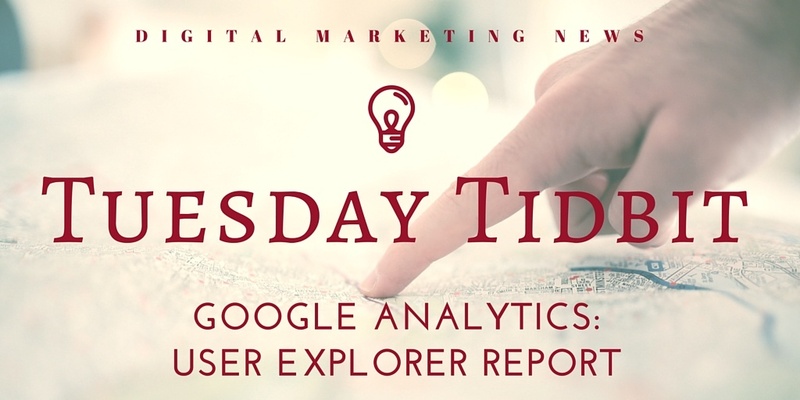 When a user is on your site, Google Analytics assigns each person a unique ID that tracks how he or she uses your site. So, in the example above, client number 3 visited the site 7 times and spent an average of 4:24 on the site each time, completing goals 85% of the time. Now, we see what date this person started visiting, with what device, which channel (direct in this case), which pages were viewed per day, and what events were completed. In a nutshell, this report is showing us how this specific user uses our site. So, how is this information useful? What can you do with it? Click on the IDs that didn’t complete an event or goal (whatever you have set up). Where did they leave? You might be able to draw conclusions about potential hangups on your site. On the main User Explorer screen, use segments to look at different audiences, such as those on mobile devices or those that came in via organic. This will show you specifically how people on those devices or via those channels are using the site. 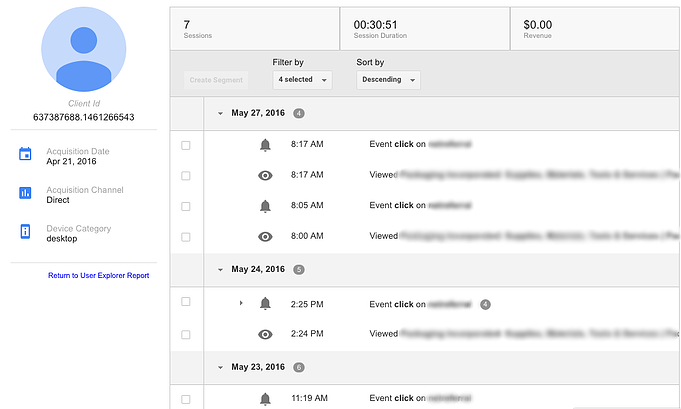 If you need more help optimizing your Google Analytics, explore our resource page. Otherwise, go ahead, open it up and click around, and discover how users are interacting with your website!